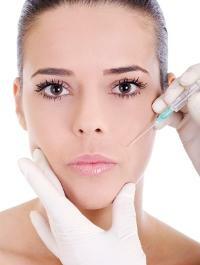 Save the botox and use our tips. While the best way to actually fight the aging process is to get good sleep and avoid the sun, anti aging cosmetics techniques do help on those more difficult days. Avoid caking on too much makeup to cover the inevitable signs of age - be strategic instead. Employ makeup designed to be long lasting, as it is less likely to slip into creases enhancing the looks of age. Clean off your makeup every night before bed. As you age, your hair will change - make sure you change the color and tones of your makeup to match your new hair. Consider permanent makeup as it is highly effective for maintaining color on aging skin. Utilize cosmeceuticals - cosmetics designed to prevent wrinkles and other conditions. Many contain antioxidants and extra moisturizers and work double duty as cosmetic skin creams. When starting your eye makeup routine, always begin with an eye skin cream. Let it completely dry, and then apply foundation on top of your eye area and concealer underneath. This process preps the skin to hold onto your makeup avoiding the leakage into the creases and helps to eliminate unnecessary shadows. The following are anti aging cosmetics techniques to enhance and bring youthfulness back to your eye area. Always blend your eye makeup well and apply it lightly. Slightly tilt your eyeliner at the outside corners of your eyes to resist the natural drooping of aging. Create a higher arc of color from your eyelid crease into your brow bone to also give your eyes a lift. Skin tone eye makeup always looks younger. Another key component in anti aging cosmetics techniques is battling the natural thinning of your eyebrow and eyelash hairs. Thicker eyebrows tend to look younger, so as you age try to avoid over plucking. You will actually need to tweeze the eyebrows significantly less as you age, and may actually be able to stop tweezing altogher and only fill in the gaps instead. Dye the lashes at a salon. Lightly touch up brows with a pencil or eyebrow powder. As age creeps in, the pigment in your skin will begin to change. While a natural aging effect, this discoloration is enhanced by exposure to the sun. In order to battle this with anti aging cosmetics, you will need to focus on a heavier application of foundation. Placing concealer on your eyelids and under your eyes becomes a necessity to even out shadows and cover the thinning skin. Use a luminizer to create extra glow to your skin - can be mixed directly into your foundation. Only select natural colored blushes as they cause your face to look more rested. Tone down your makeup colors as your hair turns grey or white - i.e. use charcoal liner instead of black. Use extra moist lip color products. Placing face powder around the lips adds contrast and helps to prevent lipstick bleeding. Exfoliate lips occasionally with a toothbrush. Paler lip colors make lips appear more full and youthful. Always remember to smile often, as that alone will work wonders to improve the youthful look of your face!